The 2018 FIFA World Cup Russia is one of the biggest events in the world, more than a sporting event it is a kind of meeting between the world's fans to see the best players and teams in the world, but it is also one of the best sources of money, especially for punters hungry for money and desires to make big bets during a big event like this. The last World Cup was dominated by Germany, the power of the Germans was practically impossible to beat, no team in the 2014 World Cup could find the weak point of Germany and despite the German team had a draw with Ghana and a tight win against United States, could reach the seminal, beat Brazil by beating and won the final 1-0 against Argentina in Overtime. For this new edition of the World Cup, Germany was expected to be as dominant as in 2014, but the problem for Germany is that the other teams in the world have prepared much more than last time, especially to overcome the German game in case you have to play against them. Shockingly, that's what happened at the very beginning of the competition and, despite an amazing from Tony Kroos in the second game, Germany wasn't able to qualify for the second phase of the competition. Now, the World Cup is way more open and brazil and France are the favorite of every bookmakers. The groups have the attention of the fans and the punters from the beginning since in the groups is where the best odds are and the betting opportunities are bigger. Our team is Uruguay (2.10), the odds of Uruguay in Genting Bet (special world cup offers here) are much more attractive, it is a solid team, the Uruguayan players have a lot of European experience and they are players who have already had experience in the World Cup. The key player of Uruguay is Luis Suarez (FC Barcelona), he is the star of the team. Russia is a strong team, but despite being a home team they do not have much chance of winning the group. Uruguay group winner. This group can have a surprise, something great for the punters, we are talking about Morocco 17.00 could be the winner of this group, the team proved capable of qualifying the World Cup after 20 years without participation, the qualification of Morocco was special, No match lost, 3 wins and 3 draws, group winners in Africa and possibly winners of Group B at the 2018 World Cup. We know that Spain and Portugal are strong teams, but Morocco is a special bet at 17.00 odds. Morocco group winner. Australia is the obvious loser of this group, but that does not mean they are not able to complicate things for France. The French team is the favorite, with 1.33 odds turns out to be an obvious favorite, they have players like Umtiti, Varane, Digne, Kante, Pogba, Griezmann, Mbappe, among others. It is one of the teams with the best squad, most of them are international stars. Denmark and Peru are strong rivals, possibly Peru is the second of the group. France group winner. This group is very special, Argentina is a team with many chances to win, all the odds are in their favor to win group D and possibly reach the semi-final of the 2018 World Cup. Messi is the key player, Argentina with 1.61 odds It looks like an attractive bet in Bet365, but Nigeria and Iceland are 2 countries that have dangerous team, Iceland is the first time in a world cup and they will do everything possible for score goals and get as far as they can within the world cup. Nigeria has power, just like Croatia, and the Argentines' problem is defence. Argentina group winner. Brazil can win this group, of that there is not much doubt, but it is still to know what the performance of Switzerland will be, since the Swiss were playing exceptionally during the qualifying phase, the team showed the world that Switzerland is not just a country rich, but also have a generation of talented players. Brazil only needs to have a well-planned game strategy, they cannot improvise but they are sure of what they do. Brazil group winner. Germany 1.36, Mexico 6.00, Sweden 7.00, South Korea 17.00. About this group there is not much to say, Germany will be the winner of the group, we have already commented that Germany has the highest chance of winning the world cup, but they can also win this group. What worries us about Group F is Sweden and Mexico, Sweden, as well as Switzerland, proved capable of great things against strong teams like Portugal. The German defense and attack will be approved as quickly as the Swedes, but we are sure that Germany will be the winner of the group. Belgium and England are the two teams with the best chance of moving to the next phase, so predicting who will be the winner of this group is somewhat more complicated, Belgium is in better shape than England, but Belgium's problem is that they suffer problems to defend the English crossovers, although most of the players of Belgium are already accustomed to the English game. 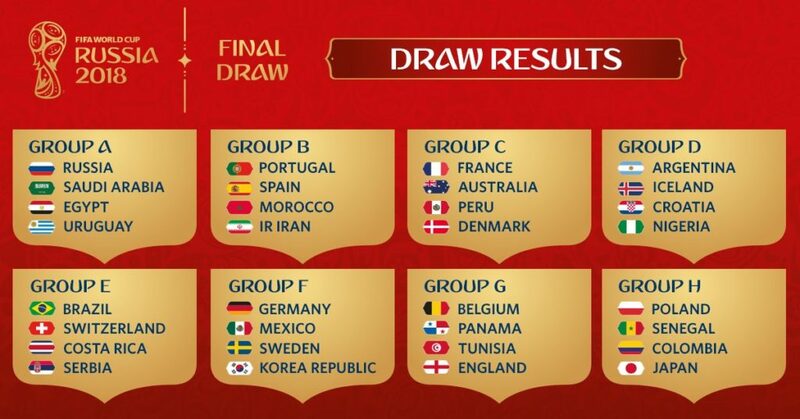 The key to this group will be to not allow Tunisia and Panama to interfere with Belgium's wishes to win the group. Belgium group winner. The last group, perhaps the only most balanced group where practically no team is a danger to another, on the contrary, every team needs to be studied to define who will be the best of the group. Colombia is always a reference team in South America, Colombia went through a complicated qualifying phase, since South America is the home of strong teams like Brazil, Argentina and Uruguay. Among the other teams, Poland and Japan are the most desperate, but very difficult to beat the Colombians. Colombia group winner. Only the idea of thinking who will be the top goalscorer of the 2018 World Cup Russia is a nightmare for many punters, it is not easy to predict who will be the player with the most goals, but it is not impossible either, we know who will be the players with the best performance. Neymar Jr (top goalscorer): Brazil is hopeful that Neymar is the player of the world cup, so Neymar Jr is the best option with 11.00 odds in Bet365, Neymar has shown no mercy with other teams, during the American Cup, Neymar was the topscorer and the most valuable player. Neymar is our selection with 11.00 odds. Messi: The first favorite player we are going to name is undoubtedly the best player in the world, but with the team Argentina is not as effective as in FC Barcelona. Ronaldo: CR7 is not the most outstanding player of his team, but the only possibility that he becomes the topscorer is that they make 5 or more goals against the weakest teams in the world cup. In case of making a bet on top goalscorer, we recommend not doing it for more than 2.5% of the bankroll, since this type of bets is not recommended for new punters, it is a bet that requires precision and use money other than the Main fund of other more lucrative bets during the world cup. Bet365 offers multiple options for the world cup and this is one of them, the punters can choose which will be the team with the best performance during the world cup, it is a bet of the safe zone, usually the best teams are the ones that have the best performance, we were thinking that Argentina 2.87 for South America and Germany 3.75 can become the best teams by continent. To be honest, Germany is the best option, currently months before the world cup starts, Germany is favorite at Bet365, odds for Germany are offered at 5.50 at the bookie. It is not a bad idea to bet on a team that is reinforced with players, Leroy Sané is an example of why Germany 5.50 is favorite. Germany can win, the most difficult teams that the Germans could face are France with very good players that can cause damage to the German defense. France, if it does its job well, will not have problems in reaching quarter-finals and semi-finals, but if they find the Germans on the road; they will surely do whatever it takes to win. The bookies are striving to offer the best odds, and we were analyzing each of the best options that bookies currently have, specifically in two of the most sought-after markets by punters. The first market that caught our attention is Outright Winner (world cup winner, straight winner or as they call it in your town), this market is obviously the most ambitious because the odds are the ones that pay more, for example in the 2014 edition in Brazil the bookies had an average of 7.00+ in odds since the headquarters of the world cup was categorized as difficult, because of the weather and because it is the home of the most fervent fans on the planet. In Russia the same thing could happen, since the weather is an important factor that could affect the performance of the players, this time it will not be the heat and the high humidity, but the cold that could affect the odds in the bookmakers. The 3 best teams at Bet365 are Germany 5.50, Brazil 6.00, France 6.50. These odds are virtually the same in most of the bookmakers but could change as the date of the world cup approaches, mainly if the teams have some problem with the injuries of some important player for the team. Other bookmakers like William Hill offer higher payments with less likely teams to be winners, such as Morocco with 501.00 in odds, while Bet365 only offers 401.00 in odds. Another important bookie like William Hill has similar odds, but with other teams with improved odds, for example: Portugal 29.00, Uruguay 29.00. Ladbrokes also offers odds similar to William Hill for outright winner, in general Bet365 is the bookie with the best odds, the difference with other bookmakers is almost nil. Lionel Messi 10.00, Neymar Jr 11.00, Griezman 13.00 and Cristiano Ronaldo 13.00. These three players would be the main sought by the punters for bets in this market. Compared to other bookmakers such as Ladbrokes or William Hill, Bet365 is the bookie that is offering the best odds for the Top Goalscorer market. Ladbrokes, Coral, Betfred and other bookmakers in the UK have not moved the odds for now, movements in the markets are expected to start in mid-February or until the final phases of local leagues begin in countries with the best teams like Spain, Germany, France, England, etc. The bookmakers are offering the typical bonus and promotions, are recommended and very necessary offers to get free money in the bookmakers and accumulate the profits to use them in the 2018 World Cup Russia. 1. Ladbrokes £ 50 Free Bet: Lucrative offer by Ladbrokes, new users get up to £ 50 in free bet, this free bet is for all sports in the bookie and is ideal to accumulate money until the World Cup begins The requirements for this offer are minimal, it is one of the easiest offers to obtain in the industry. 2. William Hill Acca Insurance: Accas are necessary for the World Cup, and William Hill always offers acca insurance for all sports, especially football. This promotion will be very necessary during the world cup, since during the tournament month, the accas could become a very lucrative option. The selections with a minimum of 1.2 in odds, perfect for accas with favourites. 3. Betfair £ 30 Welcome Bonus: Betfair is a pioneer among bookies, offers of free bets and bonuses are common in the bookie. Obviously we will wait for many special offers for the World Cup by Betfair, but currently, this offer and others with free bets are recommended to accumulate money and wait for the start of the world cup. 5. Coral £ 50 Deposit bonus: Another bookmaker offered a huge and juicy welcome bonus, Coral has been offering the best bonuses for years and this year they have focused on following the same path of bonuses and profitable promotions for punters and all users in general. The minimum deposit to obtain the bonus is only £ 10 pounds. 1. Only for new users, Ladbrokes has certain conditions to obtain the bonus and the free bet, a minimum of 1.30 in odds for the first bet which must be made for the entire amount of the first deposit. 2. The accas must have a minimum of 3 selections (trebble), with odds of at least 1.30, the minimum bet per acca is £ 1 pound, combinations with other offers or free bets are not allowed. 3. The bonus can be used only in sports, use in the casino or exchange is forbidden, the user has a lapse of 10 days to use the bonus otherwise it will be cancelled. 4. During the first deposit, the user must deposit a minimum of £ 10 or its equivalent in local currency to obtain the full bonus. The maximum limit of the bonus is £ 100, which translates into 100% matched bonus. 5. Only for new UK players, other players from other European countries or the rest of the world are not allowed. The minimum deposit is £ 10 pounds, all sports are allowed to use the bonus with a maximum of £ 50 per bonus. Are these bookies recommended for the 2018 World Cup Russia? Each and every one of those bookies are good options, bookies are currently offering welcome bonuses that could be used for June during the world cup. They are bookmakers that already have years of operation in the market and are reliable. Do all bookies have an app available for bets? All bookies mentioned here (Bet365, William Hill, Ladbrokes, Betfair, etc) offers to the general public a series of apps developed by their teams of programmers, the apps have more or the same functions than the main website. Does the difference between the odds of the bookies really matter? It is precisely that the punter chooses the bookmaker with the best odds, the prices between the bookies usually vary but generally, we are speaking of few cents, the important thing in each one the bookmakers are offering account security to the users. Ladbrokes: The app of this operator is one of the most complete and modern, the app covers most sports, in addition to offering live betting and live streaming in multiple events. The information of live matches is one of the best tools for live betting, there are special bonuses for the punters that use the app. 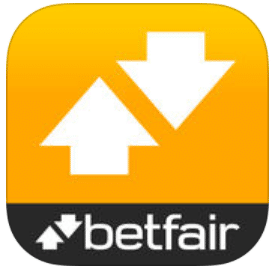 Betfair: The Betfair app has 2 functions, sportsbook and exchange, both apps designed to have advantages over sports, quick bets and exchange in most sports. The main functions of the app are: live streaming, live betting, exchange, casino, among other things. The app is compatible with android and ios. William Hill: This operator has a simpler but easy to use app, ideal for punters with less experience with technology. WH will offer live streaming in all matches of the world cup. 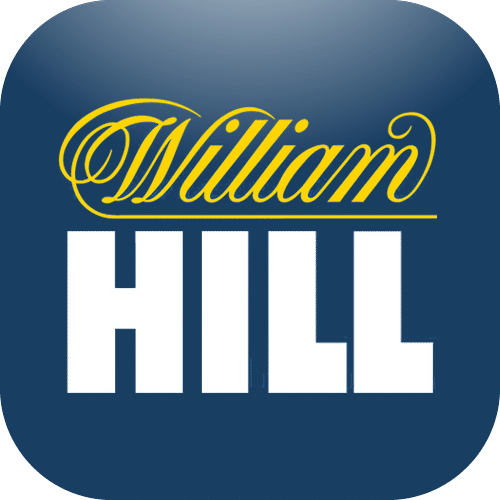 William Hill offers many more betting options in comparisons to other bookies, the app has all those options available, especially for football. 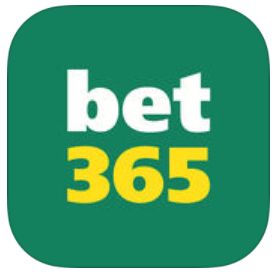 Bet365: This app is one of the most sought after by the punters, since the app is modern and very easy to use, it does not have great graphics but the versatility and the operation make the app can become the perfect tool during the world cup for live betting. The Bet365 app is available for android and ios. 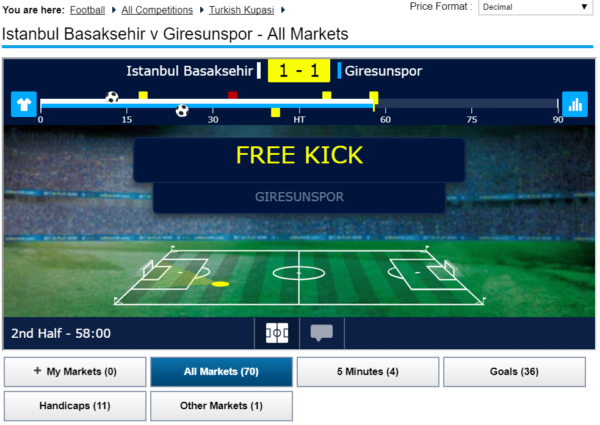 Draw No Bet: this is a highly lucrative option for the last 40 minutes of the match. The odds of this market almost do not move during live betting, because as long as the teams stay in a draw or zero goals, the odds will continue to be profitable to bet, it is an option that will serve to test the waters during the beginning of the world cup. Totals (Over): These types of bets are the best before the first 25 minutes of the game, in case a team scores 1 or 2 goals (they can also be both teams) the trend indicates an OVER 2.5 or 3.5 depending on the case , the projection indicates 2 or more goals are to be scored if the parameters described above are met. Double Chance: This market is a risk-free option for teams that have or are expected to have total control of a match, basically we are talking about a Draw No Bet but no bet return in case of draw. It is an option that usually creates confusion among some punters, but it is easy to understand: Team a or draw, any team to win, Team b or draw. Handicaps: The handicaps (Asian mostly) are not at the top of the list as they are a risky option for live betting, but at the same time they are recommended for more experienced players who already know the tables of Asian handicaps. This betting option is highly profitable if its operation is well known.